Dan Kelly Productions | Friendly. Young. Relatable. Real. & many other projects he can't remember! 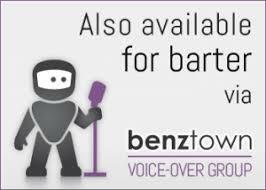 Dan has worked in broadcast for 25 years, as an on-air personality, voiceover talent and production director. He has had the honor of working for some of the best networks and people in the business - in all facets of media - From radio and television, to web, corporate videos and much more. Since 2002, he's been honored to be the Creative Services Director at the legendary WPLJ, New York City, and since 2013, Nash-FM 94-7, where he conceives, writes and produces all creative imaging elements, and voices many of them as well. Dan's style has been described as: Friendly, Young, Hip, Conversational and Fun... (maybe even sarcastic!) But he also has a dark side! His deep, mysterious, trailer read has been used on several projects as well. Of course, he can be coerced into delivering any style you need! Dan is available via ISDN or phone patch anytime or can post your files to his FTP site. 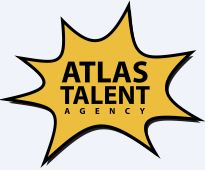 If you have any questions about a specific read, email dan@dankellyproductions.com, call 551-265-9966 or contact Jonn Wasser, Lisa Marber-Rich, Tim Walsh, Ricky Meyer or any of the incredible people at Atlas Talent in New York City. 212-730-4500. Or Heather Dame, Leah Swetsky or Micaela Hicks at Atlas in Los Angeles. 310-324-9800. Dan Kelly is represented by Atlas Talent Agency Inc.
or get Dan directly at: dan@dankellyproductions.com. For More Info: Contact Jonn Wasser or Lisa Marber-Rich at Atlas Talent in New York -- 212-730-4500. Or Heather Dame at Atlas Talent in Los Angeles -- 310-324-9800.